If you are less than 25 miles away from the original NAPA AutoCare Dealer location where the warranted service was performed/repaired and present your copy of the repair order to the Dealer – they can see if you are eligible for the warranty. 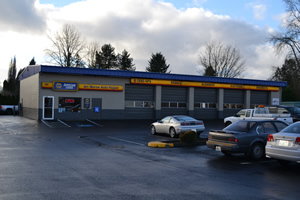 If your vehicle is inoperable and is in need of auto repair in Vancouver WA or Battle Ground to function, and you are more than 25 miles away from the original facility, you may be eligible for certain towing costs or rental care benefits as determined by the Warranty Administrator. If you are not aware of a participating NAPA AutoCare Facility location in your area, then you must call the warranty Administrator at 1(800)452-NAPA, from 5:00am to 5:00pm Monday through Friday (Pacific Standard Time) and 5:00 a.m. to 2:30 p.m. Saturday (Pacific Standard Time), excluding holidays. The Administrator will direct you to the nearest participating NAPA AutoCare Facility location. If there are no NAPA AutoCare Facility locations in your area, the administrator will direct you to a non NAPA AutoCare Facility location. Need assistance with NAPA AutoCare? Contact Art Morse Auto Repair in Vancouver.